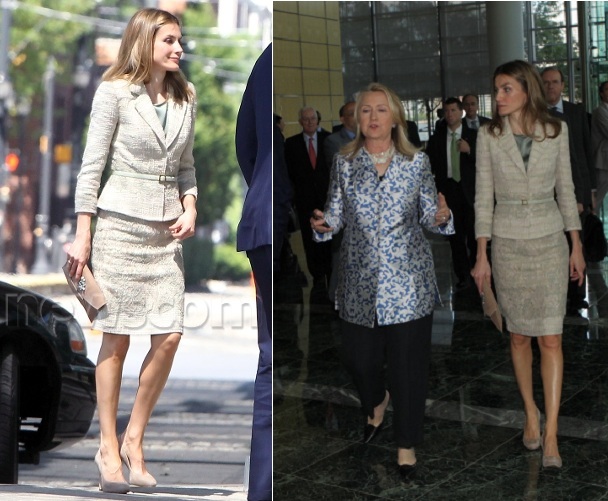 On June 23, before returning to Spain that same day, the Prince and Princess of Asturias attended a working session of the XVII United States-Spain Council Forum at The Goldman Sachs tower in Jersey City, New Jersey. The Princess wearing the same Varela suit and Malababa bag for the Armed Forces Day celebrations. « Working Visit to the United State-Outfit 6. June 2012, New Jersey.